June 4 will be an evening of stories and celebration as former students, colleagues and friends toast retiring Texas A&M architecture professor John Only Greer '55. Greer, a former department head, interim dean, executive associate dean, as well as mentor to generations of Aggie architects, retires in May after 49 years on the Texas A&M faculty. Jim Snyder '78 is chairing the June 4 celebration of Greer’s stellar career, as well as a fundraising effort to create the John Only Greer Architectural Heritage Professorship. Together, three Texas A&M College of Architecture professors edited the latest issue of Preservation Education and Research, the academic journal serving the National Council for Preservation Education. The scholarly publication features peer-reviewed articles focused on heritage conservation education, research and scholarship. The 2010 issue of PER, published in spring 2011, was edited by (pictured from the left) Anat Geva, associate professor of architecture, Kevin Glowacki, assistant professor of architecture and Nancy Volkman, associate professor of landscape architecture. PER is published to improve historic preservation education programs and further the NCPE’s mission — the exchange and dissemination of historic preservation education information and ideas. One year after their solar light pipe design — a system for transporting natural light into the interior of buildings — won the a national sustainability competition sponsored by the U.S. Environmental Protection Agency, the student team from the Texas A&M College of Architecture returned to the Washington, D.C. event to showcase their progress on the project. Adjacent to the Solar Light Pipe team's entry at the 2011 EPA P3 competition, the Texas A&M College of Architecture hosted an exhibit showcasing the college's myriad sustainability research and educational initiatives. A Galveston Daily News columnist said an interactive, online atlas created from a database compiled by a research team at Texas A&M's Hazard Reduction and Recovery Center, has greatly increased the odds of reducing the risks of living in the island city. 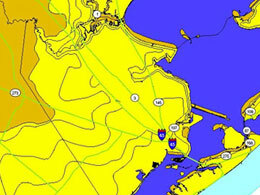 The Coastal Communities Planning Atlas provides images of possible futures of coastal areas in Texas. Users of the public site can drop one or many of the atlas' information layers two counties deep all along the Texas coast or pinpoint a spot by zooming in to a specific location. The HRRC gathered data sets such as hurricane storm surge zones, property values, elevation, dams, wetland permits and many more. Although many health care issues stem from housing problems, related research is rare, said Ed Tarlton, an urban and regional science Ph.D student at Texas A&M during an appearance at a recent seminar. Tarlton discussed the connections between housing and health at the Spring 2011 Visionary Scholar Seminar Series sponsored by the university's Center for the Study of Health Disparities. Texas A&M urban planning professor Michael Neuman has authored a new book examining the city of Madrid';s 20-year urban planning cycle and co-edited another that eyes the future of urbanization. 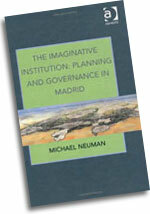 In his new book, “The Imaginative Institution: Planning and Governance in Madrid,” Neuman explores how Madrid’s planners, mostly trained as architects, invented new images — tools that coordinated planning and urban policy — that were a cohesive force around which plans, policies and investments were shared in a complex, fragmented institutional millieu. Simge Andolsun, a doctoral architecture student at Texas A&M, has received funding from an international technical society to research how a modified air-conditioning system could produce energy savings for low-income households. Her study, which has received a two-year, $10,000 graduate student grant-in-aid award from the American Society of Heating, Refrigerating and Air-Conditioning Engineers, looks at a conceptual system that cools a home based on where its inhabitants are at different times of the day. A new book featuring 100 of the world's most outstanding examples of environmentally-friendly architecture opens with an introduction from sustainability expert Pliny Fisk, a professor at Texas A&M’s College of Architecture. 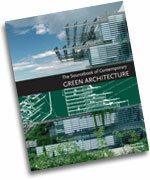 “The Sourcebook of Contemporary Green Architecture” by Sergi Costa Duran showcases “green” projects from prefab houses to public works, featuring designs from today's most provocative architects and firms, including Renzo Piano, Marc Opdebeeck, Charles Barclay, Mizien Arquitectura and Studio 804.